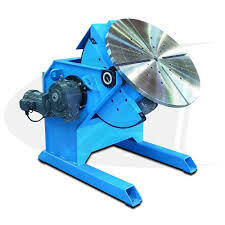 Welding positioner is designed as per components size and height, base on that we can consider Center of gravity and torque to perform the machine with low power range. There is special features are added by variable speed drive and geared motor to control the speed during welding process. Also, there is provision in control panel for start, stop, reverse, forward etc.